If you are like 99% of the population you graciously allow Microsoft to update your operating system software on a regular basis and you probably (hopefully!!) 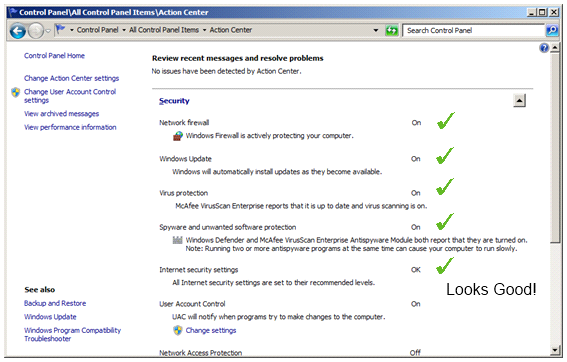 have an Anti-Virus product installed which is kept reasonably current in regards to detection and protection mechanisms. 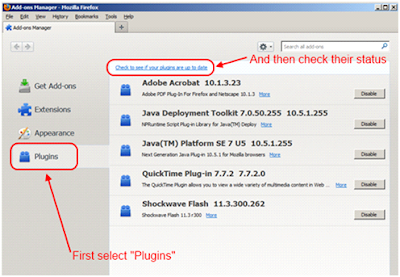 Unfortunately most people still overlook one of the most common infection vectors which we see as Incident Responders within Foundstone, which is your Browser and its associated Plug-Ins. 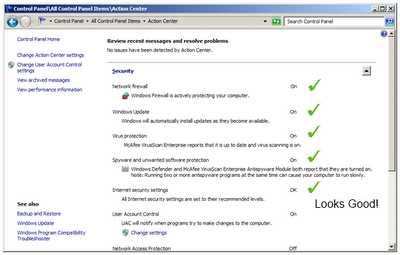 You can’t ever really be in that 100% “cannot be infected/compromised” state of mind because vulnerabilities are constantly discovered, but you can greatly decrease the chances of this happening to you by taking a few more proactive steps on your computer. 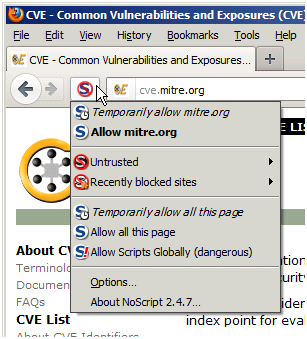 Here we see that the only attempts to execute any scripts are related directly to “mitre.org” and I can either add “mitre.org” to my “white list” by clicking on “Allow mitre.org” or temporarily allow execution for this browser session by selecting “Temporarily allow mitre.org”. 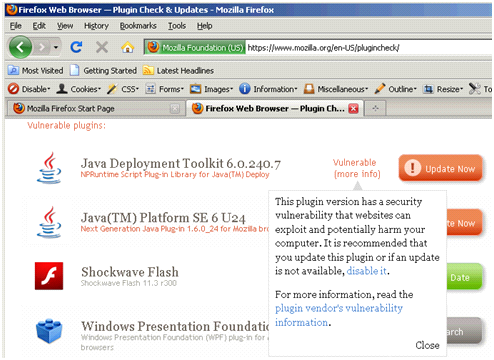 If there were multiple links attempting to execute scripts and I “trusted” them, I can globally allow execution by selecting “Allow all this page” or “Temporarily allow all this page”. (I generally never select the carte blanche “Allow all this page” and suggest you adopt that same level of prudent paranoia. Be aware that when you visit your legitimate web sites you will have to initially add them to your “white list” so that subsequent visits will allow the site to look/behave normally – but it’s really worth the tiny bit of effort involved to raise the security bar. Blocking script execution from general websites is already a HUGE improvement in your browser security, but you can take this much further with some simple additional steps. 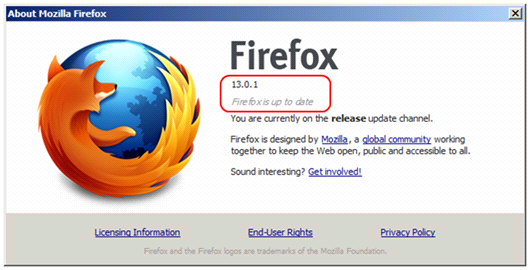 Make sure your browser itself is current and up-to-date. 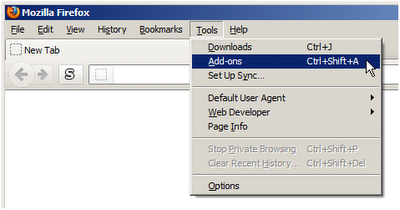 For Firefox, you just have to fire it up and then select “Help” and then “About Firefox” (as shown below). 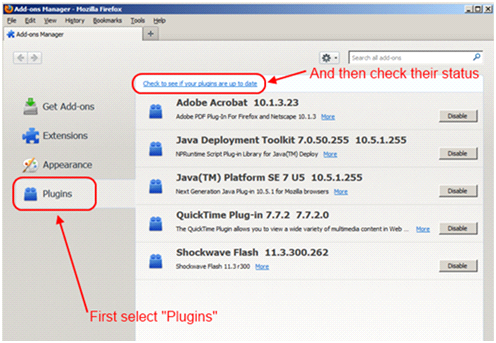 Looks like we’ve got at least 2 plugins which need to be updated immediately! What do you do to protect yourself? Let us know in the comments below!